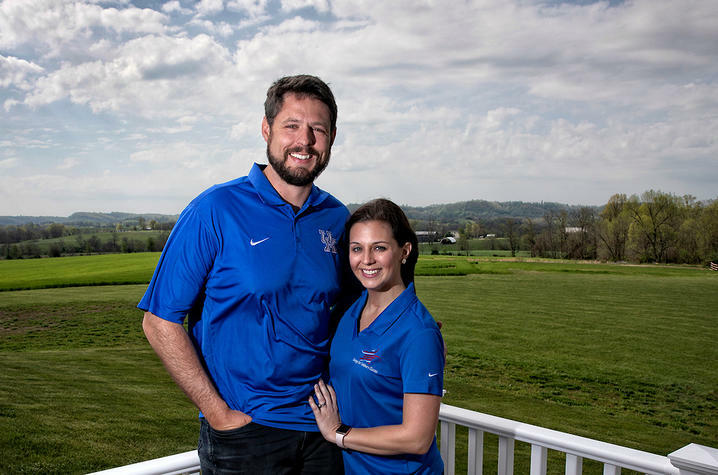 LEXINGTON, Ky. (July 13, 2018) — As former University of Kentucky and National Football League (NFL) tight end Jacob Tamme and his wife, Allison, talk about the annual golf tournament they host, Swings for Soldiers, they are quick to recall the moment when they thought they were "one and done." The Danville native was in his second year playing in the NFL for the Indianapolis Colts. 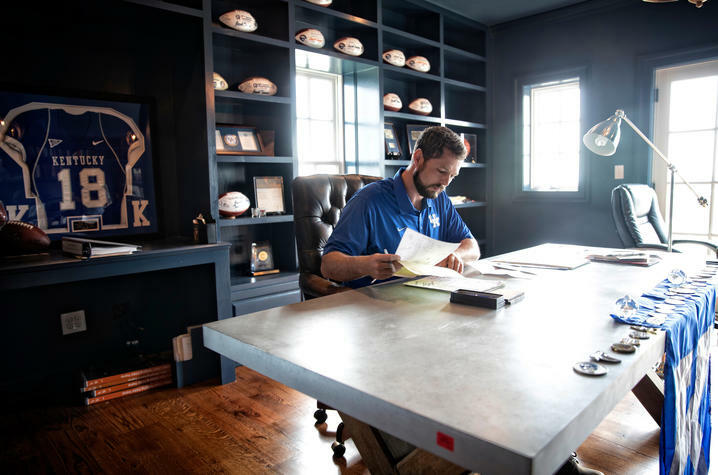 Jacob, who earned a bachelor's degree in integrated strategic communication (ISC) in just three years and a Master of Business Administration (MBA) before entering the NFL, was enjoying his time in Indianapolis. "God had blessed us in many ways…and part of that blessing was to share it," Jacob said. They knew they wanted to give back. They knew they wanted to help veterans. They searched and finally found the perfect charitable partner. 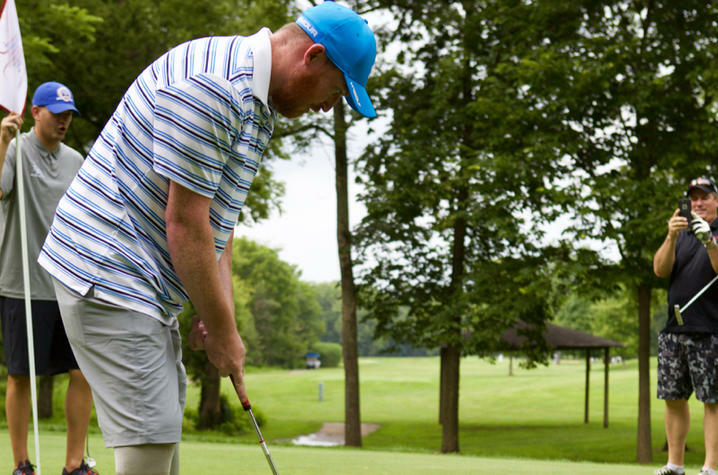 By raising money for Homes for Our Troops, an organization that builds specially adapted homes for wounded veterans, they would help a veteran to be able to live independently in his own home. What they didn't know was how much work they would be putting into making that first Swings for Soldiers Classic actually happen. 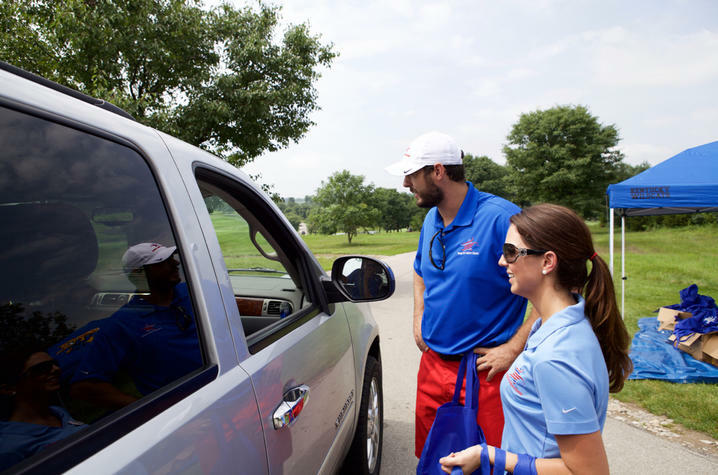 Allison and Jacob, along with their friends and family, worked the entire summer preparing for the tournament. "You know, we did everything," Jacob said. "From making every phone call to get support, to printing the cart signs at our house, putting them in the carts ourselves…I was up with a buddy at 4 that morning putting signs out at the holes. We put a lot of energy into making it happen that first year, and we did it and we were successful." "We had discussed after the auction that this was awesome, but I don't know if we can invest this much time again," Allison said. But at nearly 10 p.m., as they cleaned up, there were two other people still around helping them. One of them was the veteran who was the beneficiary of the proceeds, Chase Matthews. 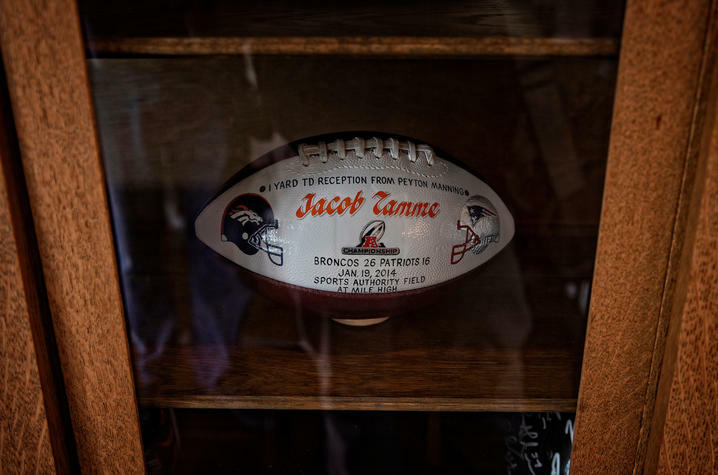 "Chase was being pushed by his wife Jennifer, and he looks up at me from his wheelchair and says, 'hey man, that was great, next year I’m going to play,'" said Jacob. "We got in the truck we shut the doors and I was in tears, and Jacob just looked at me and we said, 'we have to do it again,'" Allison said. "Right then and there, on the way home we started planning for the next year." During the past eight years, Chase has played in every single tournament. 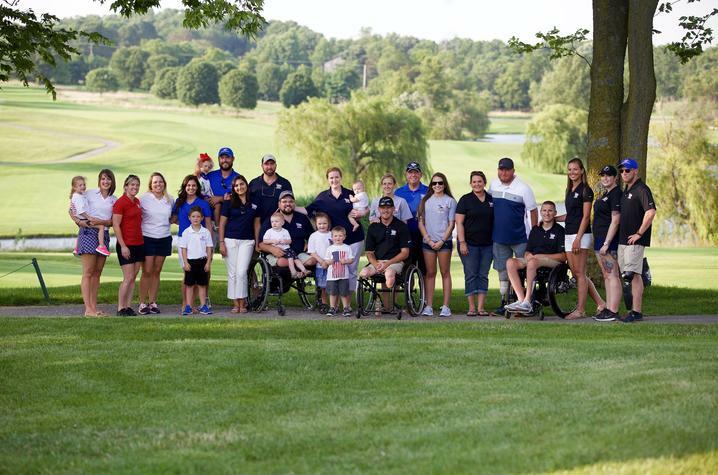 The Tammes and their team of volunteers (many of their own family members and friends) have raised nearly $850,000 for Homes for Our Troops. "These men, who had gone overseas and been in battle, come home, and half of their home is not accessible to them, and their wives and girlfriends and moms were physically having to lift these men out of their wheelchairs just to go to the bathroom or to bed at night," Allison said. "People want somewhere they can call home and can be independent in and operate in, and these guys lost that opportunity," Jacob said. "So, when they have suffered such a life-changing event on our behalf, we want to do what we can to give back a life-changing, positive impact for them — a home specifically designed for them where they can do what they need to do to be a father again, to be a husband again, to cook breakfast, to shower themselves, to help do all the little things that help them regain that independence!" But the impact for the families goes way beyond a physical structure. "The house is more of a mechanism. I allows you to regain that independence, to be a dad or father again in your own home and it's a mechanism to bigger things," said Jacob. "The neatest thing is seeing these guys transition back into the workforce… after all the battles they've been in and are currently going through, so it's been an unbelievable project." Jacob attributes part of the initiative's success to the time he spent at the University of Kentucky. 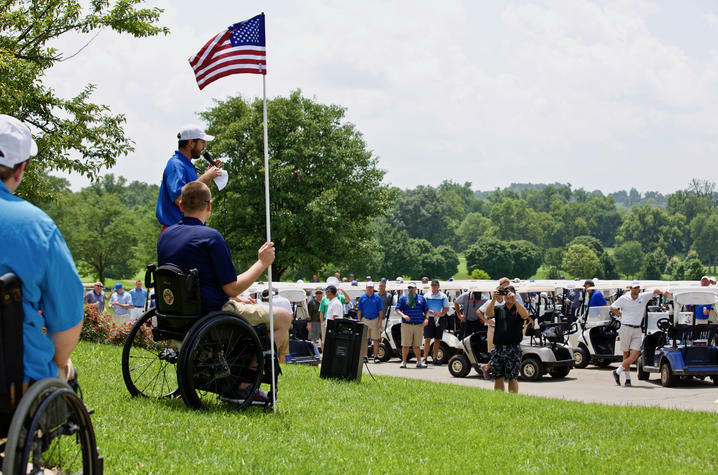 On July 16, everyone will come together again to honor yet another veteran, during the ninth annual Swings for Soldiers Classic at the University Club of Kentucky. They will once again put in lots of blood, sweat, and yes, perhaps even a few tears into the event. But they both say there is no place on Earth they'd rather be. "(The veterans) are such amazing, deserving people, and we just want them to have everything they need," Allison said. 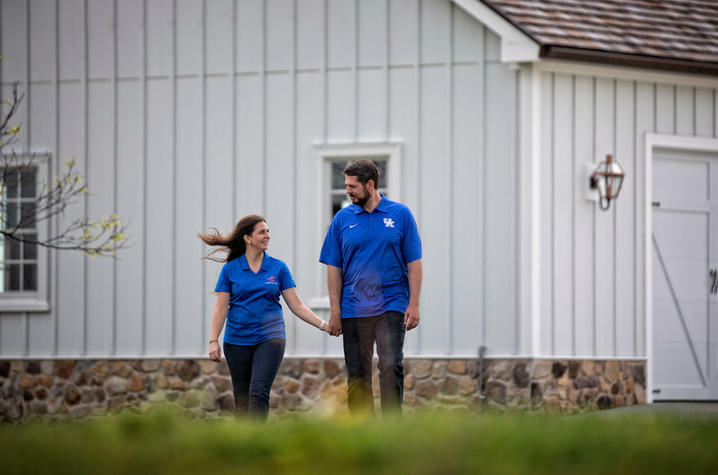 Watch the video above to learn why this University of Kentucky alum and his wife say leading this effort has blessed them more than they ever thought possible. For more information on the Swings for Soldiers Classic and Homes for Our Troops, visit: www.swingsforsoldiers.org.